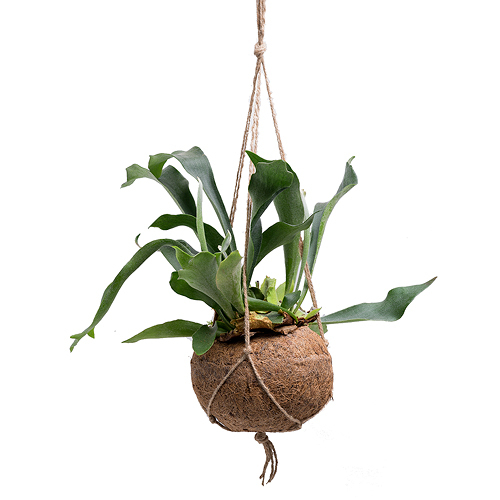 Add elegance to any space with this unique Staghorn Fern (Platycerium) hanging Kokedama plant. 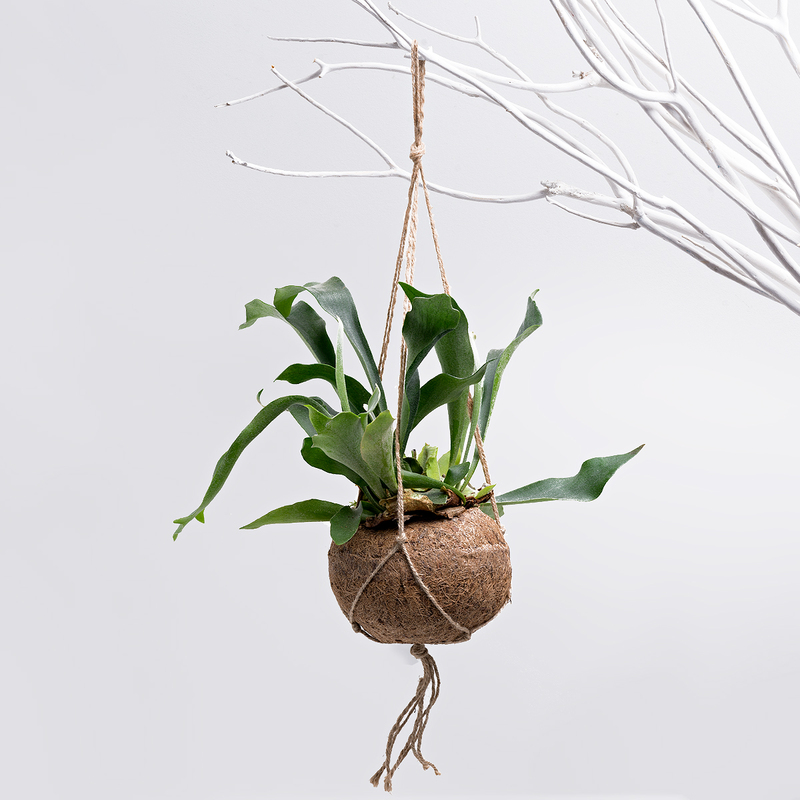 Kokedama is an ancient Japanese art form related to Bonsai. Also called "string gardens" and "Japanese moss balls", in Kokedama the plant lives in a moss ball instead of a standard pot. The result is a peaceful floating garden, perfect for enhancing any home or office. The Staghorn Fern is a low maintenance tropical plant that enjoys a weekly watering and occasional misting. This Kokedama makes a fantastic gift for a new house, birthday, or thank you gift. Consider sending several plants to create a beautiful indoor garden.